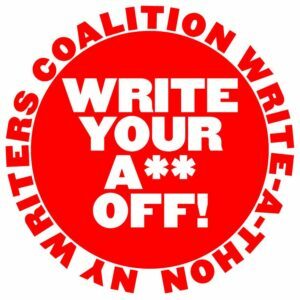 On October 7th, Sweet Action Poetry Collective members Marietta Brill, Mirielle Clifford, Julie Hart, Betsy Guttmacher, Cynthia Manick, and Mordecai Walfish are participating in the 2017 New York Writers Coalition Write-A-Thon. The event is a fundraiser for NYWC, which provides free creative writing workshops throughout NYC for at-risk and disconnected youth, the homeless and formerly homeless, the incarcerated and formerly incarcerated, war veterans, people with disabilities, cancer and major illness, immigrants, seniors and many others. Visit Sweet Action Poetry’s giving page and learn more about the work of the NYWC.